According to the Existing Home Sales Report released by the National Association of Realtors, U.S. home sales are much higher than they were a year ago. 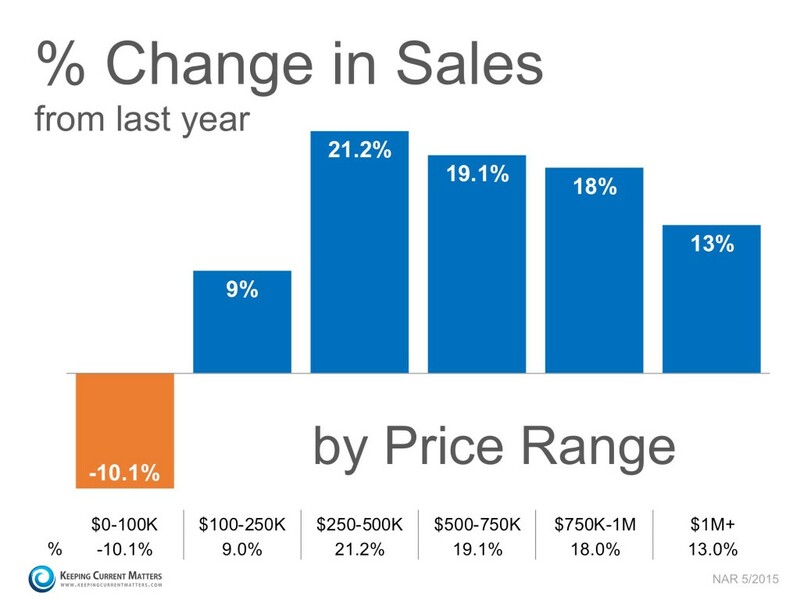 The sales report measures six categories of homes, according to price. The five highest categories were up by 9% or more, with the $250K to $500K category seeing the most dramatic growth. Sales for homes under $100K are down from last year, but this reflects the fact that there are fewer foreclosures on the market this year. If you’re thinking about selling your home, contact someone at The Haro Group!